Cloud instances rentals are a popular form of cloud computing services on the market. 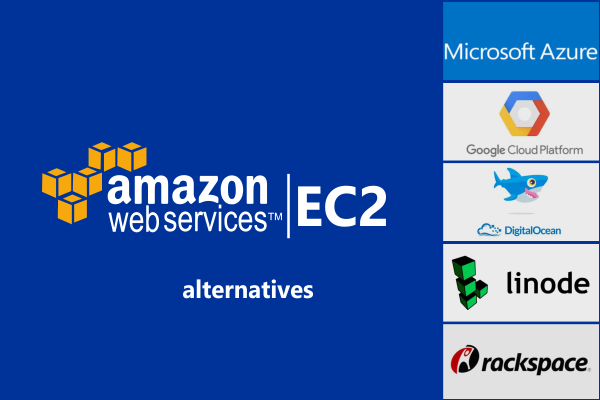 In this piece, we will pit market leader Amazon Web Service’s popular EC2 against other competing services: Amazon EC2 alternatives. 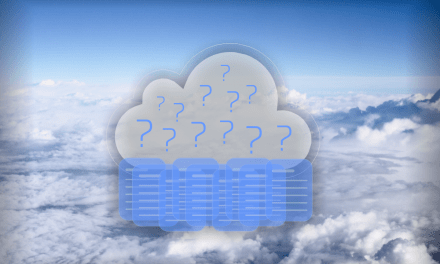 Linux cloud for web hosting: what is it for and why to host in the cloud? Cloud-based virtual machines running Linux operating systems are a reliable and secure platform for hosting websites. Renting a virtual machine is easier than buying, maintaining, and upgrading expensive server hardware. And since cloud data is stored in a decentralized manner, hardware or power failure in one location will not bring down the website. Cloud hosting charges are very economical and flexible, based on the amount of resources used. Finally, Linux is generally considered a faster and more secure platform than Windows / ASP.NET for web hosting. 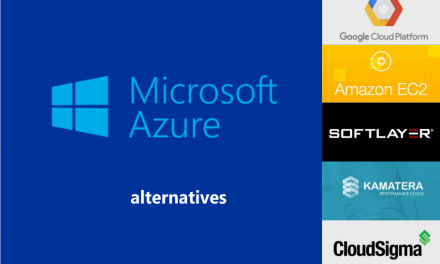 Should you need Windows Server Cloud hosting, read our article Microsoft Azure Alternatives for Windows Server Cloud Hosting. Amazon Elastic Compute Cloud (EC2) is a service which rents out cloud-based virtual machines to users to run their applications and programs. These virtual machines are called “instances” and they are available with Linux, Windows, Solaris, and other open source OS. They can be used to host websites and Amazon actually uses the EC2 to run their own Amazon.com e-retail website. 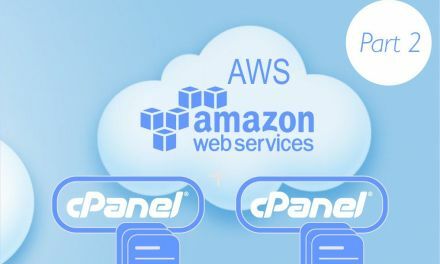 We will compare EC2 against other cloud hosting services, Amazon EC2 alternatives, such as Microsoft Azure, Google Cloud, Linode, Rackspace, and Digital Ocean. Why we chose 2 CPU, 4GB RAM, 100 GB SSD configuration for price comparison? All these services offer virtual machines of different configurations. The dual CPU, 4GB RAM, 100GB SSD configuration offers a proper baseline for comparison. It is a lower mid-level setup, not too powerful, but not too underpowered either. It offers a nice capable starting point for new users. Lowest latency in industry. Data centers in 33 countries. Both Amazon and Microsoft have been in the cloud business for a reasonably long time, more than 10 years and 6 years, respectively. They both have highly developed, stable, and mature cloud hosting services. While Amazon is the undisputed market leader, Microsoft has been steadily growing and providing direct competition to AWS EC2. Amazon has their own version of Linux, based on Fedora and Red Hat Enterprise Linux, called the Amazon Linux AMI. They have been using Linux from the outset and support Cent OS, Red Hat, SUSE, Ubuntu, and Debian as well. Microsoft started incorporating open source systems only recently. 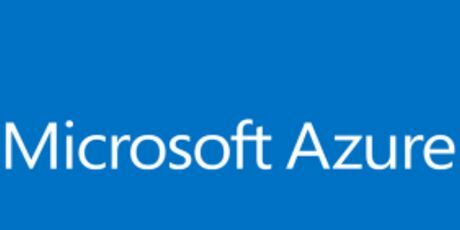 Azure now offers Red Hat Enterprise, Ubuntu, Cent OS, and SUSE Linux machines. Amazon and Microsoft are direct competitors in cloud services. For the basic features like computing, storage, networking, database management, content delivery and security, there is not much to choose between AWS EC2 and Azure. They broadly offer similar capabilities. However, Amazon AWS offers more friendly interface to deal with, which is handy when you are novice to cloud hosting. 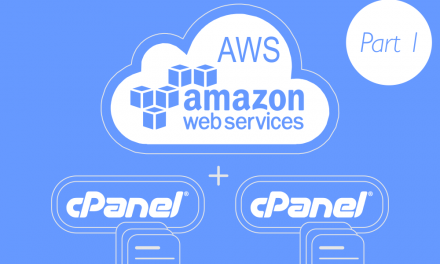 You can build your own cloud hosting server in 20 minutes with our tutorial cPanel Cloud Hosting with Amazon AWS. Azure will has better licensing mobility for Windows based applications, since they are owned by Microsoft. Microsoft also has better hybrid-cloud configurations, allowing you to use both your on-site computers as well as the cloud virtual machine together. If you want to work closely on Microsoft owned applications and the Windows environment, Azure is clearly the choice. But on open-source platforms though, Amazon clearly has the edge over Microsoft. And it also has the largest global cloud infrastructure behind it. On the pricing front, both these services come roughly in the same price bracket for our sample configuration. And they both provide flexible billing based on actual resource usage. An AWS EC2 Linux machine with 2 CPU, 4GB, and 100 GB storage currently will cost $85 while the Microsoft Azure is slightly less expensive at $75 per month. Also, both Amazon AWS and Microsoft Azure offer up to 70% discounts on reserved (prepaid) instances. 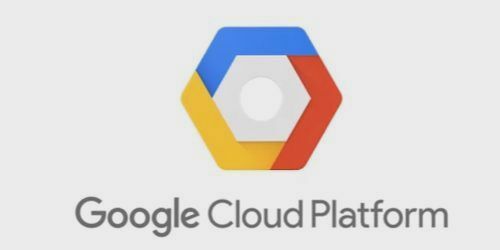 Google Cloud Platform or Google Compute Engine (GCE) is one of the most prominent Amazon EC2 alternatives. Google’s service is now several years old, having been unveiled in 2012. Google offers Cent OS and Red Hat Enterprise Linux in comparison to Amazon’s very mature and stable Linux AMI, and wide compatibility with other Linux OS. In terms of basic features, the GCE is comparable to the Amazon EC2. But it has limited configuration options available, with around 12-15 different instance types on the menu, compared to EC2’s 30 different instance types. EC2 has the AWS advantage of a wider portfolio of features, constant updates, and a more experienced support service, when compared to Google GCE. But GCE is superior to EC2 in specific areas, like managing online traffic spikes and load balancing, persistent disks, and its virtual CPU performance. And GCE will also provide an obviously deeper integration with other Google products and services. While both have a global infrastructure presence, AWS is bigger than Google’s cloud offering. And Google is still playing catch up in terms of scalability, stability, and support when compared to AWS which has been in the business more than twice as long as GCE. On the pricing front, GCE is somewhat cheaper compared to EC2. For a 4GB, 4x CPU with 100 GB, Google charges $85 per month, while EC2 will charge the same rate for an instance with 4GB, 2X CPU with 100 GB storage. They both offer flexible pricing and you get get up to 70% discount if you pay upfront. 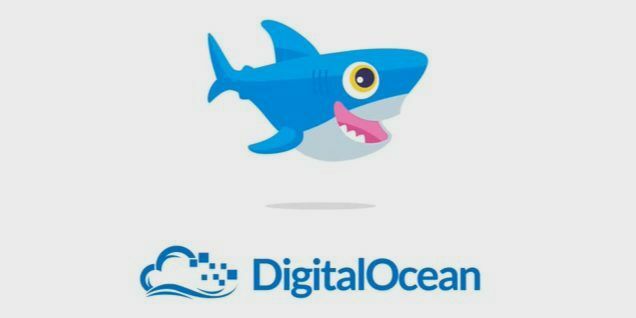 DigitalOcean is a smaller but fast developing cloud service provider focusing on high performance virtual machines aimed mainly at software developers. They have been around since 2011. So they are not really comparable to behemoth AWS, since Amazon caters to a wide marketplace. But the virtual machine rental services of both can be held for comparison as one of Amazon EC2 alternatives. DigitalOcean supports popular Linux distros like Debian, Ubuntu, CentOS, and Fedora. And since it is developer focused, they offer prompt launch of applications like Ruby on Rails, LAMP stacks, Docker, etc. On the performance front, DigitalOcean virtual machines are some of the best in the market, far ahead of the competition including EC2. For instance, they offer SSD storage with all their available instances (or droplets as they are called). Unlike others Amazon EC2 alternatives, DigitalOcean does not have the scale or depth that EC2 gets from AWS. But that is not necessarily a bad thing, as they are focused on being a specialized, bare bones, and cheap and high performance service aimed at a smaller audience. They offer higher network speed, all SSD storage, and faster virtual CPUs. And being a much smaller company, DigitalOcean global reach is also miniscule in comparison to Amazon’s. But on the price front, DigitalOcean virtual machines offer great value for your money, with best in class pricing. Their 4GB RAM, 2x CPU, 60 GB SSD machines are available for just $40 per month (wow! ), with dedicated 4TB transfer rate. EC2 and all other major companies like Microsoft costs more than double that rate. Linode is another simple straightforward web hosting service comparable to DigitalOcean in terms of pricing and scale of their available services. They are a US-based private company in business since 2003. They also focus on small businesses and developers, and are not in direct competition with rest of Amazon EC2 Alternatives. 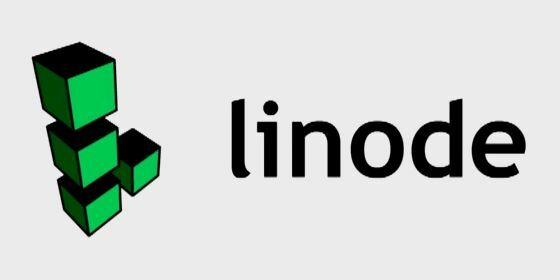 Linode supports a lot of Linux distros, including Arch, CentOS, Debian, Fedora, Gentoo, openSUSE, Ubuntu and Slackerware. Their Linux compatibility is comparable to AWS. And they have been in business for a long time like Amazon, and are a veteran company with a narrow but highly developed platform. They offer better performance per price than EC2, with faster network transfer, all SSD storage, and higher network transfer limits when compared to similarly configured instances. In terms of features, Linode is like DigitalOcean and cannot really compete with the wide array of AWS services that EC2 benefits from. But they do offer a slight edge over DigitalOcean in terms of performance and features like two-factor authentication, better DNS management, cloning option, installation of custom distros, and StackScripts. With servers in US, Europe, and Asia, Linode’s global reach is better than similar sized companies like DigitalOcean, but still far, far behind AWS EC2. Pricing is the highlight of Linode, with a 4GB, 2x CPU, 60GB virtual Linux machine priced at just $20 per month (wow, that is impressive!). Even if you go a step higher for their 100 GB storage which comes with double RAM and CPU power, it still costs only $40, which is less than half what it costs EC2 and Azure for an instance with half the computing power. But it doesn’t offer the same flexibility that AWS EC2 provides in terms of billing based on actual resource use. Rackspace is a mature cloud service company with a long history behind it. They are much smaller than Amazon, but focus on providing highly specialized and stable cloud platforms for businesses and developers alike. Like all the previously reviewed Amazon EC2 alternatives, Rackspace has a long history of running open-source platforms like Linux. They use OpenStack cloud platform for their services and are compatible with major Linux distros like Ubuntu, Debian, Red Hat Enterprise, OpenSuse, and Fedora. The virtual machines offered by Rackspace and EC2 are both comparable in terms of performance, because Rackspace acts as a reseller of Amazon AWS. But EC2 has a more developed catalog of instances with nearly 30 configurations, while Rackspace near about to a dozen or more instances (or flavors as they call them). In terms of features, Rackspace does not have the breadth of Amazon services, but offer high quality enterprise level support for its customers. AWS EC2 aims to cater to the widest possible market with feature packed capabilities at the lowest cost. Rackspace is more focused on its services, with SLAs, architectural guidance, and more up-time ownership. In general, Rackspace likes to focus on mid-sized enterprises that require specialized and dedicated support, and have the resources to fully handle their offering. Rackspace has a global presence with offices in US, Europe, Asia, Australia, and data centers in the US, UK, Australia and Hong Kong. But of course, they are not comparable to the scale of AWS. In pricing brackets, Rackspace is around the same tier as AWS EC2. But unlike Amazon, they have a fixed system of virtual machines, as opposed to AWS’ more flexible system. Their virtual machine closest to our chosen benchmark with 4GB RAM, 4x CPU, and 100GB SSD is priced at around $95 per month. A 2x CPU system with half the RAM and SSD space costs $58, meaning that Rackspace rates are higher than AWS EC2. With more capacity and market presence than all their nearest rivals combined, AWS is the clear leader in cloud services. They have the widest feature list and cater to all sectors of the market. But in Linux web cloud hosting, EC2 does have several rivals with features and pricing that offer viable alternatives depending on user requirements and preferences. It is up to the consumer to figure out what they need and make the right choice in a very mature and developed market.